Say goodbye to soaking wet feet. There's a collective amnesia that comes along with spring. Everyone's excited to shed their layers, wear crisp, lightweight jackets, and feel actual rays of sun on their skin. It's easy to get caught up in the intangible miracle of rebirth right up until you're walking around with drenched socks because you were woefully unprepared for a rainy day for another year in a row. This spring, respect your hard-working feet with rain boots that go against the norm of the Wellington boot. Legacy rain gear brands like Palladium and Hunter Boots are revolutionizing their iconic styles while brands like Nike are turning avant-garde sneakers into waterproof shoes that beg for some puddle splashing. Below are some of the coolest weather-appropriate footwear options that are guaranteed to make torrential downpours feel like barely-there sprays. Bring on the April showers. Listen, I'm just as surprised as you are that I'm including a heeled chelsea boot in a rain boot roundup, but everyday I learn something new. 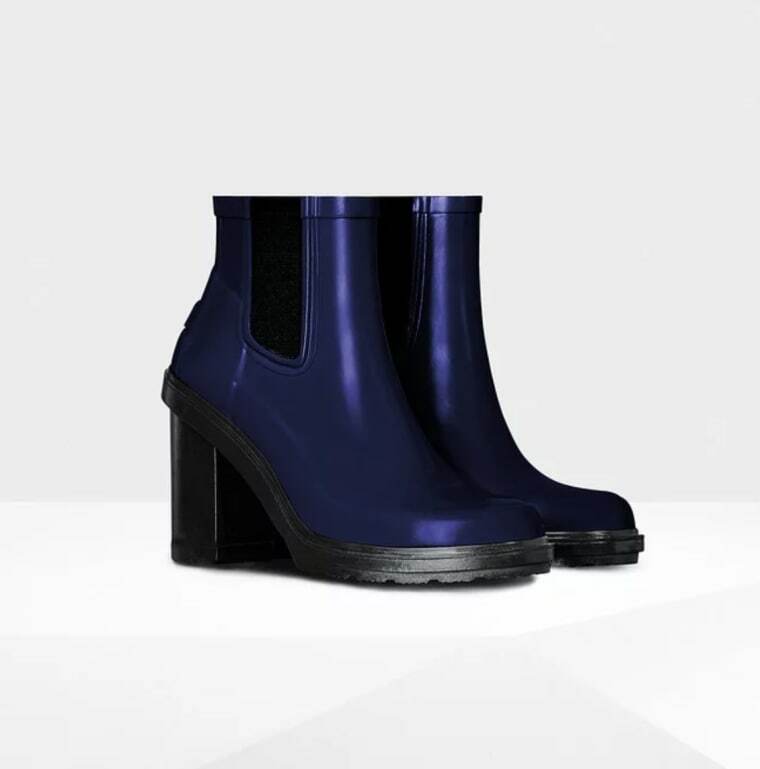 Hunter Boots wrote the book on keeping people dry in torrential downpour and if they're pushing out heels, it's probably gone through some secretive and rigorous testing, and that's good enough for me. You've got to place your trust in some things and move forward. Converse are great. It's a right of passage to wear your first pair until they're practically obliterated, but wear them in even the lightest of drizzles and prepare to suffer. 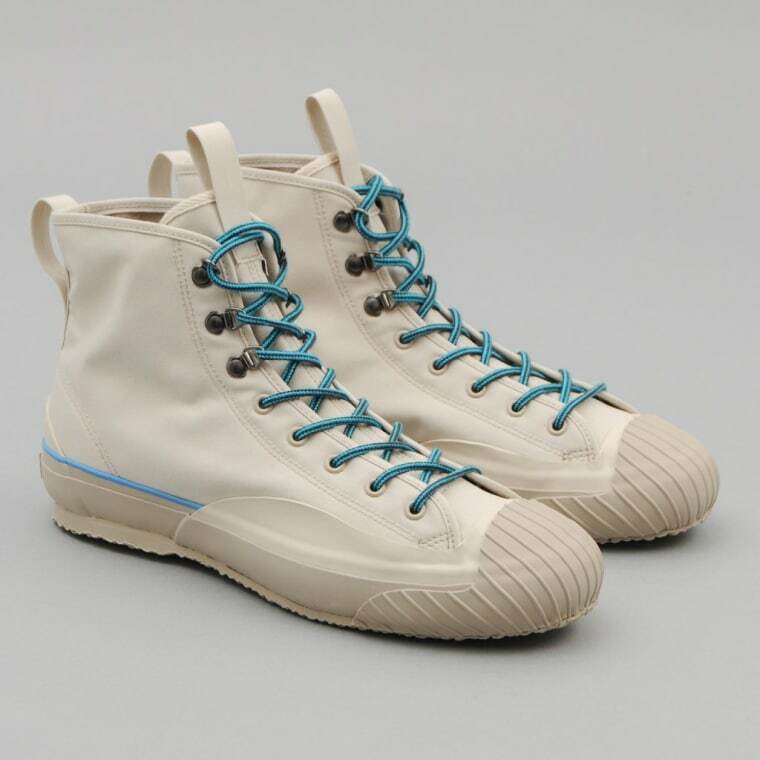 Thankfully, brands like The Hill-Side are on the case — their All-Weather High Tops are practically siblings with Chuck Taylors and full of fashion science. Weather-proof cotton that swells when it come in contact with water (which shrinks the fabric pores small enough to stop water penetration without sacrificing breathability), a custom-designed gusseted tongue to keep water out, and a high-traction sole all work in harmony to keep your feet water free. 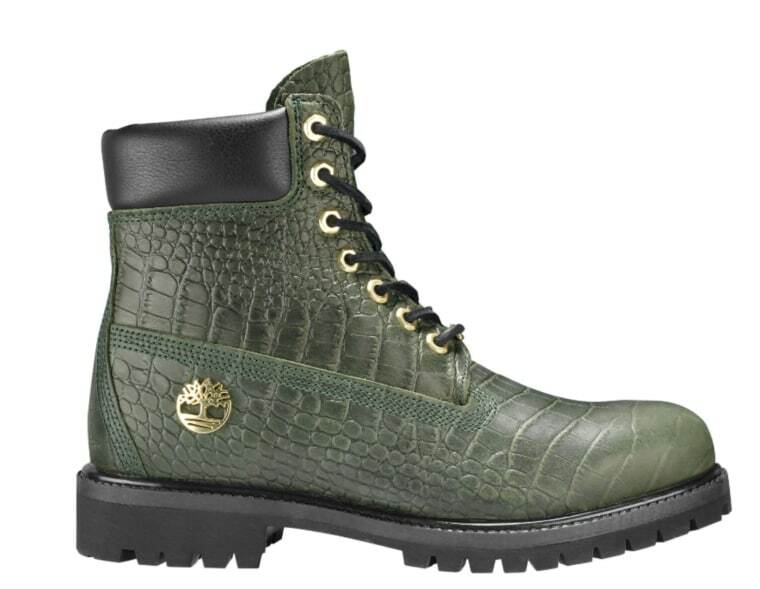 A pair of waterproof Timberland boots are a key fixture for the rainy season, and this limited edition Crocodylian take is straight-up exquisite. The scale-y detailing and gorgeous jade hue are badass without being in-your-face, and heavyweight sole grips will ensure you move through a deluge with the ease of its namesake reptile. One way to stay dry is to physically tower over puddles, and that's when you need a platform sneaker. These patent leather Ganni kicks come with a cool-as-hell jagged sole, mesh detailing, and a high-contrast turquoise color that's guaranteed to brighten the dreariest of rainy days. Look no further than the name. 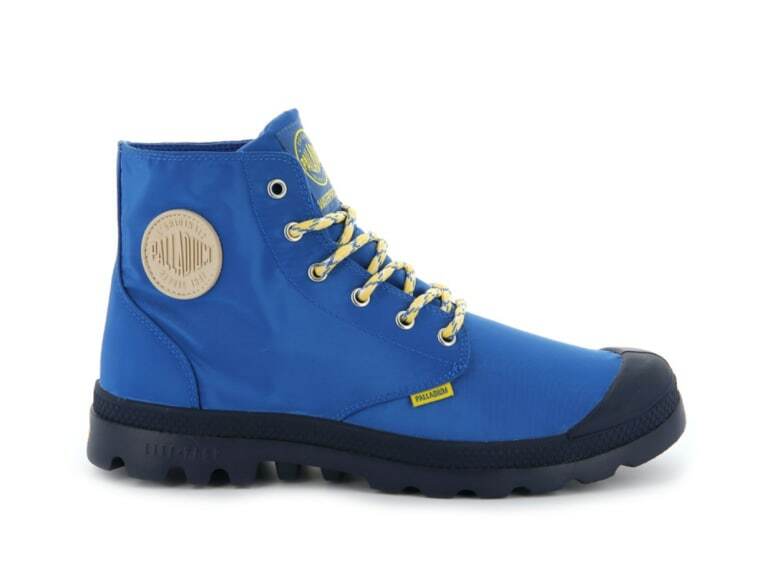 Palladium's Pampa Puddle Lite WP literally has the word puddle in it, so you know they're serious. The nylon textile is an enemy to all moisture and the classic design will last you from this rainy season to the next. 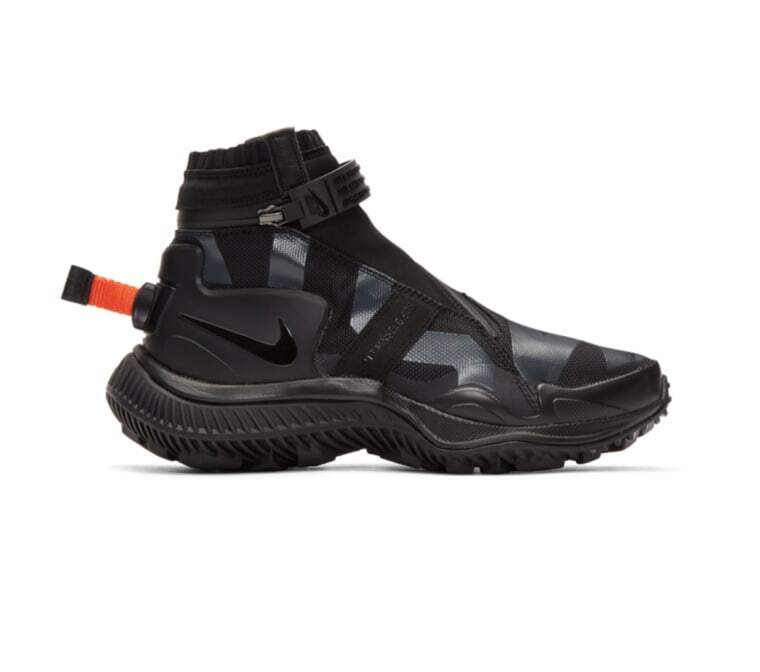 Does it make sense if I say these NikeLab shoes frighten me in a good way? The NSW Gaiter Boot High-Top Sneakers have a menacing vibe to them — the adjustable heel pull-tab in traffic cone orange and wraparound zip closure feel like something an international spy in a 90s thriller set in the future would use to thwart the authorities. Dramatics aside, the waterproof nylon canvas and sculpted rubber midsole are a rainstorm-ready, sleek option for city-dwellers on the go. Thumbnail image via Timberland's Instagram.